Artesyn SharpStreamer acceleration card enables high density video transcoding and multiscreen delivery. Artesyn Embedded Technologies SharpStreamer add-on acceleration card enables content owners, broadcasters and service provider networks to speed the deployment of high density video transcoding and multiscreen delivery. The new Contour ROAM3 utilizes a waterproof and impact-resistant aluminum housing to allow it to function up to 30-feet underwater without a bulky case. Shoot stills and video. Luxoft’s VP9 Encoder combines high performance with lower power consumption. Improves the balance between performance and quality of the Google codec, and increases encoding performance. Luxoft’s innovative codec is designed to help video content providers, cloud servers, and live-streaming companies produce effective, real-time 4K/UltraHD encoding and video streaming. WG-M1 features an ultra-wide-angle lens that enables you capture all kinds of underwater and outdoor activities in high-quality, true-to-life movies and pictures. Designed for outdoor enthusiasts, adventurers and photographers that want to take pictures anytime, anywhere, the RICOH WG-M1 performs brilliantly in challenging outdoor conditions. The camera is waterproof to a depth of 10 meters, shock-resistant against a fall from a height of two meters, and cold-resistant to temperatures as low as －10°C. 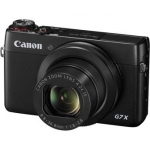 Canon 20.2MP G7 X with 1" sensor, the long zoom SX60 HS, and compact N2. 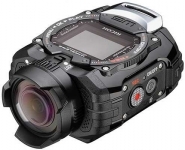 Pro video news- new Sony PXW-FS7 Compact 4K XDCAM Camera with a Super 35 CMOS sensor; The new camcorder is designed for a range of long-form shooting and production applications, from “cinéma vérité”-style documentaries and reality TV to magazine shows, commercial and corporate applications. At IBC, Dalet Digital Media Systems launched its new platform lineup: Dalet Brio (high-density ingest and playout), Dalet AmberFin (high-quality transcoding), and Dalet Galaxy (enterprise MAM). 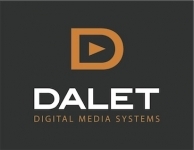 These three distinct, yet tightly integrated platforms enable Dalet to answer both the current and future requirements of the media industry with a range of complementary products and modules that address targeted applications as well as combine to offer best-in-class business solutions. The new Panasonic AJ-PX800 is a 2/3-inch, three-chip shoulder-mount camcorder with AVC-ULTRA recording. Weighing a little over 6 pounds, the PX800 is the industry’s lightest camcorder in its class. Adknowledge Integrates Realeyes Emotion Analytics Platform Into Online Video Campaigns - Adknowledge now offers advertisers detailed reporting on how audiences respond emotionally to video campaigns it delivers across social, mobile, apps, games and sponsored content. RR Media Showcases Cloud-Based Online Video Dubbing Solution - Video Dubber is a pioneering online service that automates the manual labor needed for dubbing, using patent-pending technologies. Its automated cloud platform enables customers to add dubbing and voice over in over 30 languages to their videos within minutes, with just a click of a button. Part of RR Media's global media services, Video Dubber facilitates fast and simple content localization, enabling new revenue-generation opportunities. Ericsson ConsumerLab, annual TV & Media report - who is watching what online and where? This report looks at changing consumer behaviors and values such as the increase of streaming video as well as growing willingness to pay for anywhere access. The TV landscape is changing. . 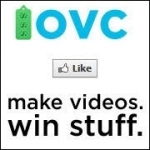 Check out the latest online video contests and competitions from Online Video Contests. Check these out and enter. You may become famous - you can earn money and win prizes! According to the Vine blog, you can now use the Vine app to edit videos! 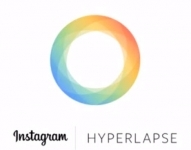 In addition, you can now import exisiitng videos and convert them into Vines. All on your SmartPhone or tablet. Cool.